I purchased your new book and found it very informative. 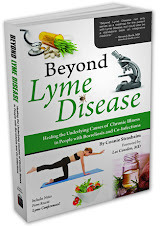 In the chapter regarding Lee Cowden, he mentioned that bartonella could be treated and controlled within weeks. Do you know what herbal regimine he uses for bartonella? 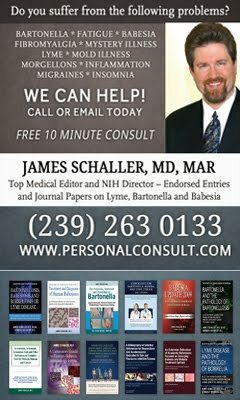 The Nutramedix website references the lyme protocol but nothing specific to bartonella. hydrocortisone helped me alot...if your adrenal can't produce enough of the proper hormones, it's a bit like filling up the gas tank...The key is which kind of hydrocortisone you take, the length of time, etc. It should be monitered by a knowledgeable doc.. One kind (no brand mentioned) taken for too long can actually reduce production in your adrenal glands and so is good for short term use when things are really rough, but not long term...Another compounded is better for longer term use. I believe it depends entirely upon your situation. I love that the blurb mentions biofilms...I found it to be helpful. 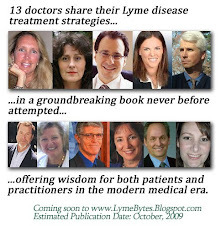 financing Lyme treatments. I been to several LLMD's. They all seem to exist in expensive parts of the country and appear to cater to an elite clientele. I am suspious of these so called LLMD's. What about the all Lyme suffers who don't have deep pockets. I think they are being left out in the cold. Please, show me that I am wrong.